Most recently, this has included hosting a parliamentary drop-in session for MPs, offering them the opportunity to discuss paediatric continence service provision in their constituency with clinical professionals from the PCF’s membership. We were pleased to welcome MPs including the former Health Minister Norman Lamb, who thanked us for raising this incredibly important area of children’s health within Parliament. The PCF’s policy concerns were also discussed during a debate on incontinence on 5thSeptember 2017, moved by the MP Madeleine Moon in the House of Commons. The adjournment debate – held at the end of a day in Parliament, allowing backbench MPs to raise an issue and receive a response from a government minister – discussed continence issues among people of all ages, and called for the Government to improve care to change the quality of life for many people in the UK. The PCF’s research into paediatric continence service provision was referenced by Mrs Moon, and its finding that only 41% of CCGs and Health Boards across the UK currently provide all four main continence services and product provision. The Parliamentary Under Secretary of State for Health, Steve Brine, also discussed the PCF’s concerns regarding the removal of a Continence Needs Assessment tool from an online resource provided by Public Health England, and promised to discuss the matter with officials at Public Health England. We were pleased that continence problems received such a focus during the debate, and look forward to working with the MPs involved to continue to improve care and end misconceptions around paediatric continence. To read the full transcript of the debate, please click here. The impact of this withdrawal has already led to an overwhelming increase in the number of inappropriate referrals to emergency departments, outpatient clinics and tertiary care. 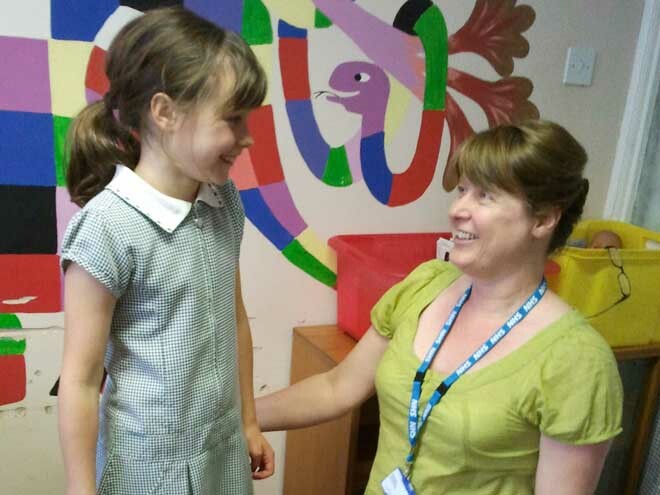 Many children with continence problems, who would ordinarily have their problems addressed in a cost-effective manner in the community are now being transferred to secondary or tertiary units by their GP. As well as not always being clinically necessary, this is also less clinically effective; staff are not able to cope with the quantity of referrals and do not have the capacity to regularly follow-up the child or young person for a successful long term outcome. This problem seems to be particularly apparent in areas where there is not a strong Level 2 Community Paediatric Continence Service. This situation is unnecessarily costing the NHS money as there is significant variation in costs between primary care and secondary/tertiary care. For example, a secondary or tertiary outpatient referral costs £160 to £220 for first appointments and £94 to £123 for follow-ups, with the risk of financial penalties being imposed as a consequence of breaching new consultation to follow up ratio targets. A&E attendances on average cost £108, with day case treatment costing an average of £693. This is compared to a specialist nurse in primary care, which costs on average £80 for an assessment appointment and £56 for each follow-up appointment (considerably less for a telephone follow-up). The PCF is engaging with CCGs, directors of public health, civil servants, government ministers, parliamentarians, strategic clinical networks, and other health organisations to highlight this issue and to campaign for an urgent uptake of the integrated model of service delivery as outlined in the Paediatric Continence Commissioning Guide. There needs to be a greater recognition of the valuable work school nurses do in this often neglected area of child health. If you are a parent, carer or a clinician and would like to get involved, then please contact the PCF’s secretariat at paediatriccontinenceforum@whitehouseconsulting.co.uk. You may find the PCF’s new lobbying toolkit helpful (link forthcoming). The PCF continues to support ERIC’s Campaign to improve care for children and young people with bladder and bowel conditions in schools, called the “The Right to Go”. The Campaign aims include improving the safety and hygiene of school toilets and ensuring that pupils are free to go to the toilet when they need to. Further information on the “Right to Go” Campaign can be found here. Between 2004 and 2012, the PCF worked with ERIC on the “Bog Standard” Campaign – a campaign to improve toilet and washroom facilities in primary and secondary schools. Intervention at Ministerial level failed to produce much change to the statutory regulations governing school toilets and washrooms (The School Premises (England) Regulations 2012). The government was determined to de-regulate. However, the PCF managed to persuade the government to include in its accompanying documentation advice for schools on the ideal number of toilets and washbasins for students and advice on toilet provision for disabled pupils. Paediatric Continence Forum Political and Parliamentary Monitoring Week Commencing 29th October 2018 The Chancellor presented The Budget to Parliament this week. In it, he announced additional funding for disability facilities and schools, as well as extra investment in health funding and Air Ambulances.